As one of Roland's main international TD-25 demonstrators, Michael Schack has been touring throughout Europe and Asia with his #pushyourdrumming concept featuring the TD-25KV. And these are the kits he’s been performing with. Download them now! YES! These are Michael's powerful TD-25 #PushYourDrumming Tour Kits! 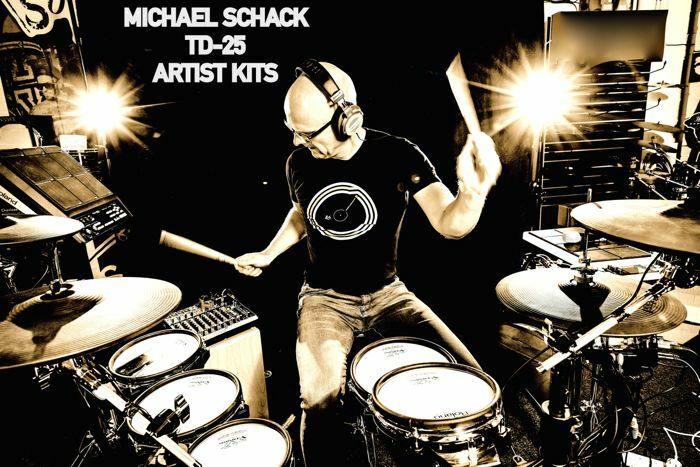 With these powerful Michael Schack TD-25 Artist Kits, you can bring the sound of Michael’s #PushYourDrumming performances into your own TD-25 module! These live and studio performance kits cover different genres of music. You can easily start building your own versions from these as all editing, ambience & MFX settings will inspire you to copy them onto your own TD-25 kits. Michael's kits for Roland's new TD-25 module not only help you to get the maximum out of your module, but they will truly “Push Your Drumming”, whatever music style(s) you play. Be careful : these sets sound louder and deeper than the TD-25 preset kits, so you might have to bring down the volume a bit:) Enjoy!